NEW! 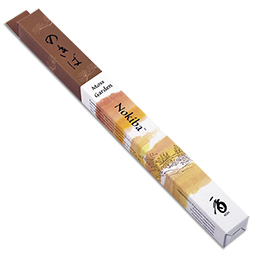 An elegantly wispy, laser-engraved smoke motif adorns this sturdy, 8.75" span of luscious cherry wood. A precision-carved hole is perfectly sized to grip your favorite Shoyeido incense at an appropriate angle. 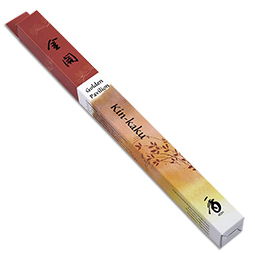 Our familiar koh incense kanji adds extra style points. NOTE: This holder is specifically designed to hold incense from the following Shoyeido lines: Daily Incense, Jewel, Angelic, Kyoto Moon, Overtones, Premium Incense, and Shoyeido Selects. 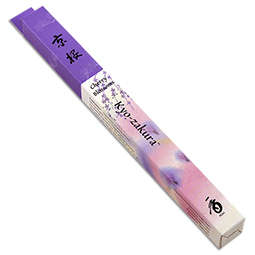 Not for use with our thicker Zen Incense, Horin, Xiang Do, Incense Road, or non-Japanese incense generally. 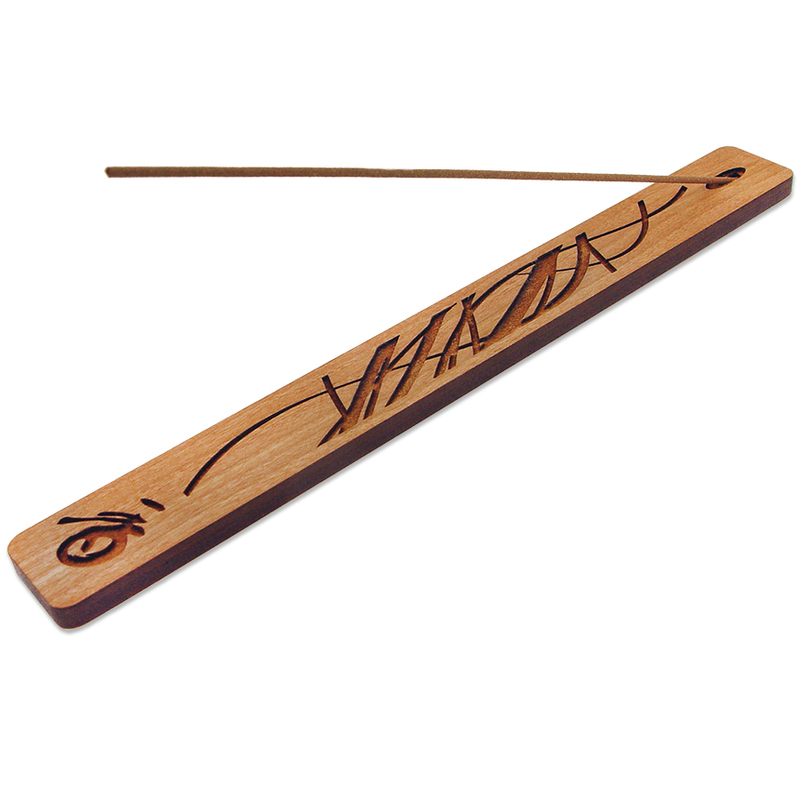 To remove incense stick 'stubs' from the hole, turn the holder over and insert a straightened paper clip to push out the stub.